"Kosher" cell phones have been used by Haredi Jews in Israel for years, but this year they got a new feature that they have been clamoring for -- all commands and ringtones in Yiddish. 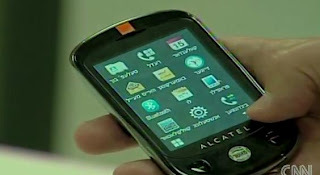 So what could be kosher about a cell phone? Check out the full story in the CNN video below.